At the beginning of the month, the Dude and I drove to Calgary to visit his relatives out there. The drive there and back was very scenic but it was a looooooooong drive. My bum was definitely feeling sore post-trip. 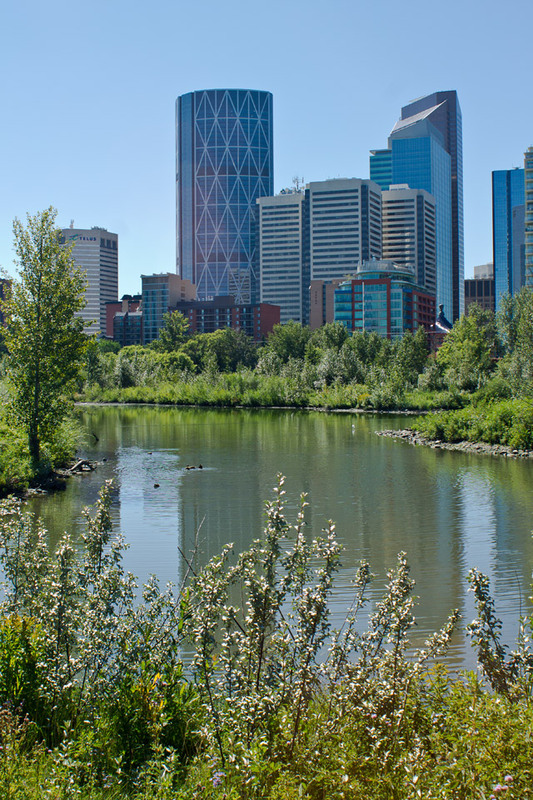 View of downtown Calgary from Prince’s Island, a lovely park in the middle of the Bow River. This was my first time visiting Calgary. I wish we had more time to explore the city as we were there for only two days. Because we were there during the long weekend, it seemed very quiet and vacant. Maybe all the Calgarians did the smart thing and fled to BC to escape the crazy heat wave that was oppressing the city. Donuts! 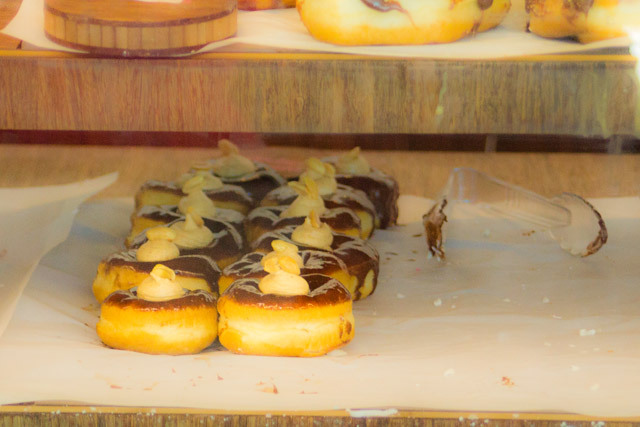 We enjoyed awesome gourmet donuts at Jelly Modern Doughnuts in Calgary. They were so good that we actually went there twice. Plus, we needed an air-conditioned place to take shelter from the brutal heat, and what better place to chill than in a donut shop! I had the lemon curd and the Madagascar vanilla ones – both scrumptious. My lips are smacking just thinking about them. We took two days to travel back to Vancouver in order to gawk at waterfalls, lakes, and mountains as we drove through the Rockies. 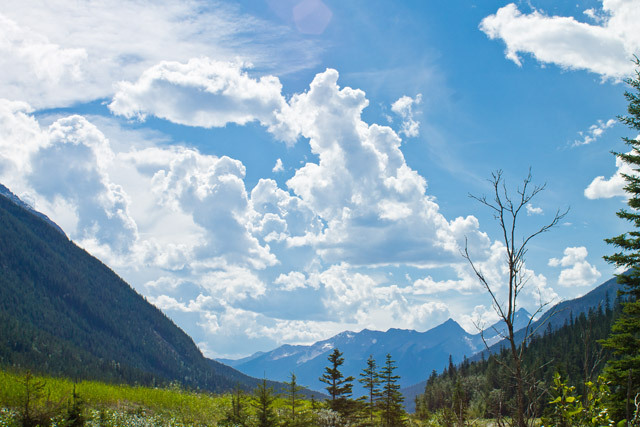 My favourite was driving through Yoho Valley Road – seriously one of the most scenic drives I’ve ever done. 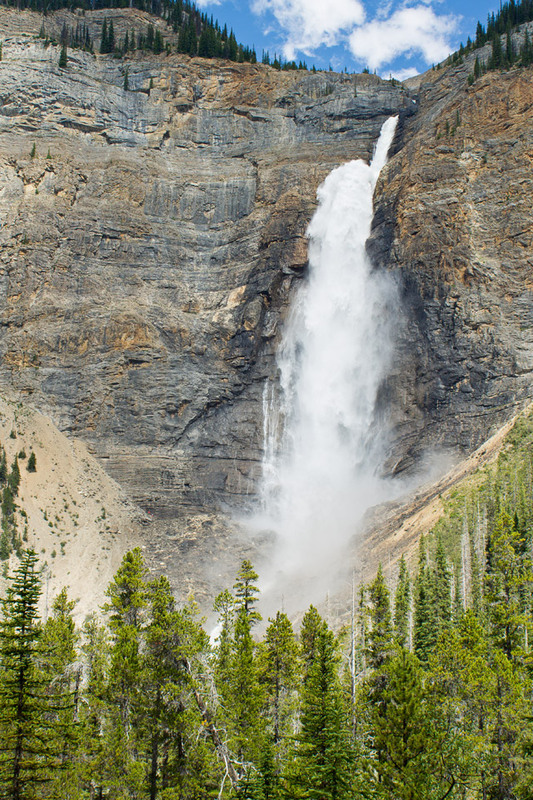 The road took us to Takakkaw Falls, which was spectacularly wet. Near Field, BC where we did a pit stop. You may read into the clouds what you’d like. 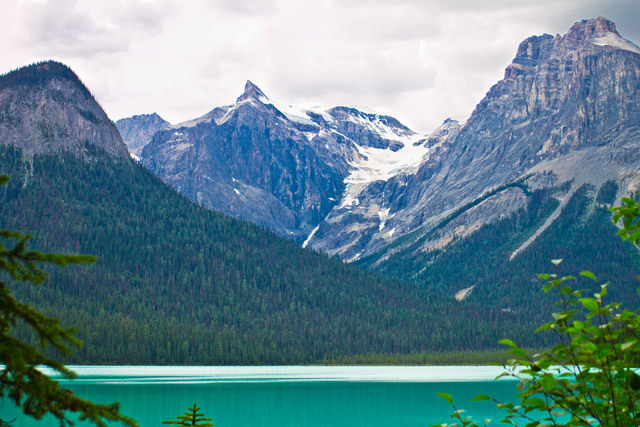 We hiked around Emerald Lake, one of those gorgeous turquoise-coloured lakes that abound in this part of the world. That big patch of white in the mountains is a glacier, which casually exist here and there in Western Canada. 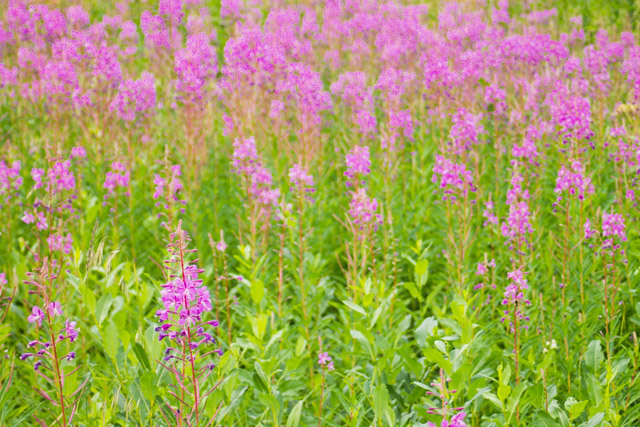 Pretty wildflowers growing in an avalanche field adjacent to Emerald Lake. They get obliterated by an annual avalanche. You’d think the flowers would be fed up by now and go grow somewhere else. 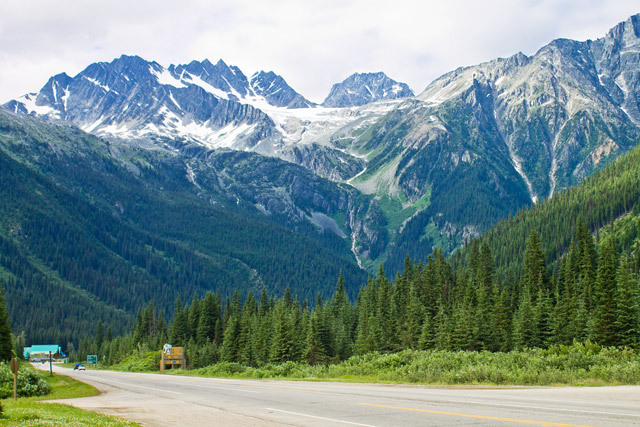 Rogers Pass. More mountains, more glaciers, and more of those ubiquitous trees. All very breathtakingly beautiful. I highly recommend driving through the Canadian Rockies if you ever get the chance. Your eyes will thank you for it. looks like a fabulous trip Alice. love your photos! Great photos! Glad you had such a good time! !